Isaiah is an easy going youth and is a great boy with an engaging smile. He is intelligent and does well in school. He is a good student and catches on to things quickly. Isaiah is social, talkative, and friendly. He does well in his foster home and gets along with most people. Isaiah likes sports, enjoys attending sporting events and is a natural athlete. He says that he wants a family who will take him to do a lot of things. He enjoys being outside and active. Isaiah is feisty. He is definitely a teenager and has a strong will and pronounced opinion about a lot of things. He has had some challenges at school due to his independent and strong willed nature. He benefits from help and encouragement to finish his homework. He has a soft heart and is a kind person. Isaiah thrives in a structured environment and does well when he is given goals to accomplish. Isaiah likes to watch movies and play video games as well as sports. Isaiah has a lot to offer the right family. Isaiah will be fine in a home with either one or two parents. He will do very well in a family who is consistent with their discipline and patient with him while he is adjusting to a new setting and boundaries. Parents for Isaiah will be familiar with the nurturing and care that a child needs. He needs reassurance and love as he grows and matures. 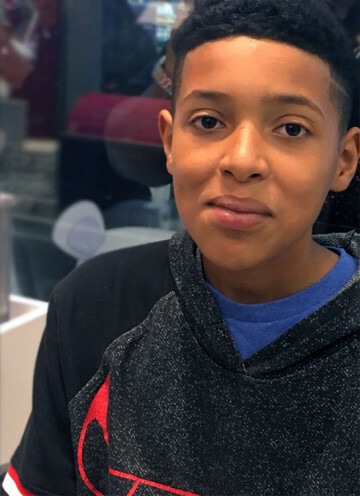 Isaiah is testing boundaries as he enters his teenage years and needs some cautious independence to develop trust and grow into an adult.